And now we come to the FINAL part in this ‘series’ and that is: UNLESS ONE ACCEPTS AND OWNS THEIR SHADOW SIDE – THIS WILL NOT GO AWAY. No amount of justifying, hiding, burying or suppressing will now ‘work’. It cannot be buried….one cannot ‘justify’ this anymore – energetically. As this Ancient Shadow side will not go ‘away’. 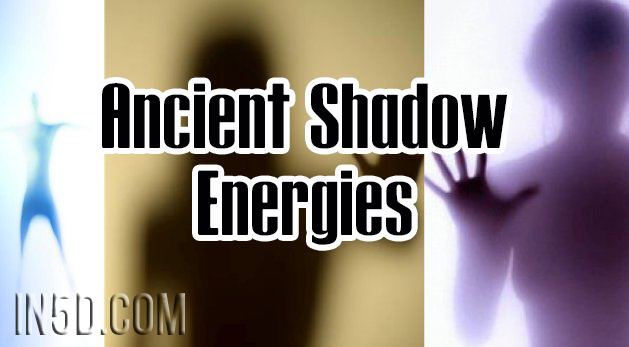 Ancient shadow energies have now been ‘exposed’! This is a FINAL energy block that we are needing to face/confront/accept and deal with. No amount of ‘words’ will ‘cut it’ this time. As people will say and do anything to make themselves ‘right’. There is no ‘right or ‘wrong’ in this. There is a bigger picture of souls who are now facing themselves through another or others. Yet the ‘blame’ game will arise. And this is with souls who were ‘close’. Many are already making huge progress with those close to them in finally standing up for themselves and saying what they may have not been strong enough to say (or do) in the past. And we can do so, when we come from unconditional love, this is the Golden Key! Yet there are many others who are being ‘faced’ with what they are needing to own, to heal and shift through and many will not ‘want’ to do so. And that is okay, all is okay as that is part of their journey as this can take time. It takes a very brave soul to finally face something deep within themselves that they have had buried or hidden for so very long. By all means, stand up or speak up for oneself, yet there comes a ‘time’ when we need to step up and out of the emotions and come from the ‘bigger picture’. That we are here to feel Unconditional Love and True Love – And this starts with ourselves. Those close to us can be a mirror for ourselves of what we are not accepting within and of ourselves. As those close to us are helping us to be stronger within ourselves. When we are ‘done’ with being angry and attacking others, we can find a place of coming up and back from the bigger picture, that we chose these souls to have contracts with, to help us to help ourselves to grow. And we then reach a place where we ‘thank them’ on an energy level for helping us to help ourselves to grow and be stronger. While in the human we may need to ‘love them from a distance’ if they have not grown or are not willing/able to face themselves. That is their ‘choice’ or part of their souls journey. As this is where we make ‘peace’ with ourselves. To reach true Peace and Freedom. It is a ‘process’ and it does take time. Yet, that is what we are here for, to (amongst other things) find or reach true Peace and Freedom within. I am seeing so much ‘conflict’ with souls all around me and it takes a true Spiritual Warrior to stand up and ‘own their own stuff’ and I mean truly own it. To be brave enough to go deep within and face and ‘admit’ something/s to themselves as that is very very tough and hard to do. I know as I have been very humbled when I owned mine. Yet in doing so, is a ‘coming home’ like no other. It is admitting to oneself that we may have been ‘blaming’ others, when there were lessons and learnings for us in this as well. We are ALL of the Divine, ‘finding our way home’, back to source/spirit…back to ourselves. And it is through others that we do so. Just like you, other souls are doing the ‘best they can’ in all they are. They too are learning and growing. When you judge another, you are judging yourself. When you are harsh with another, where are you harsh with yourself? Please remember to ‘put the stick down’, as really it serves no-one, least of all YOU.